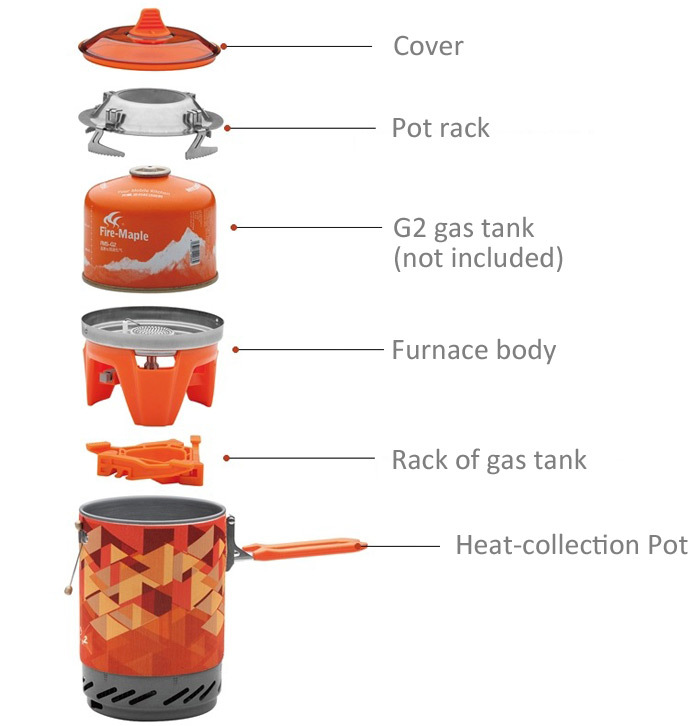 NESTED DESIGN: Fuel Canister Stand, Stove,230g Fuel Canister(Except Coleman Fuel Canister) and Extra Pot Holder, all these parts can be put into the pot. 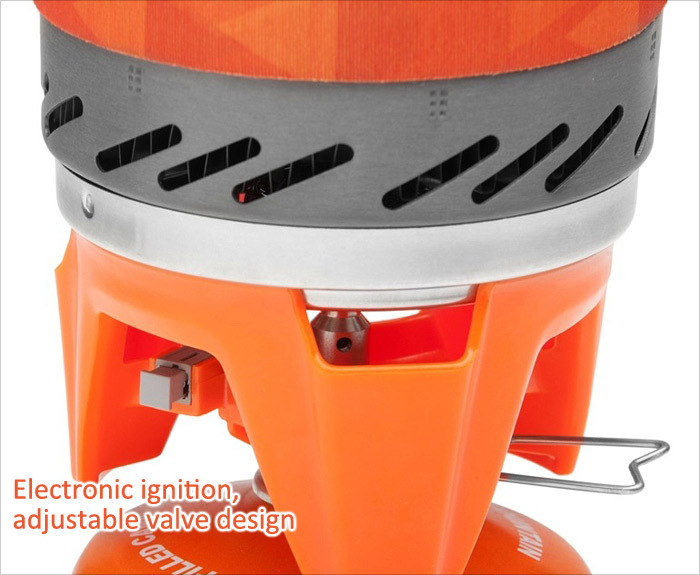 (volume of pot: 1L).（Remark: what we are selling does NOT include Fuel Canister) . 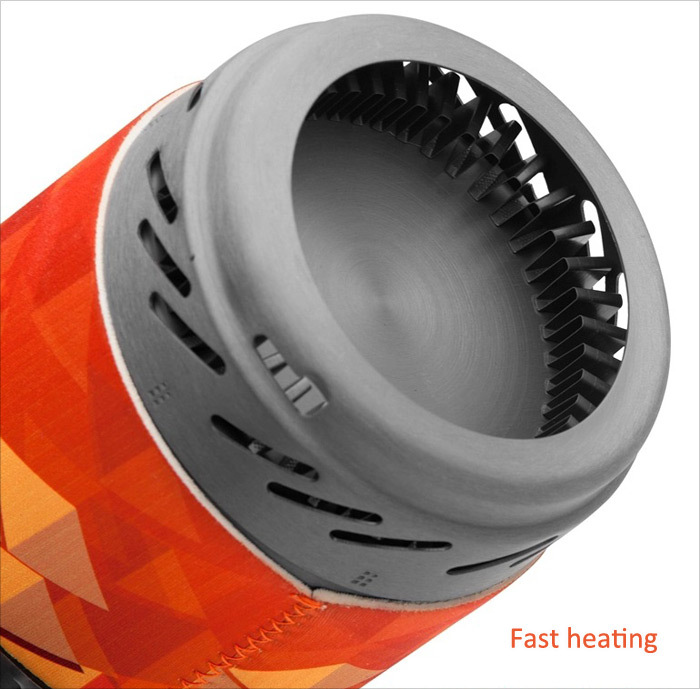 HEAT EXCHANGER: Increase efficiency of heat by 30% higher. (Boil 1L water in 3.5 minutes), meantime it has effect of wind screen. 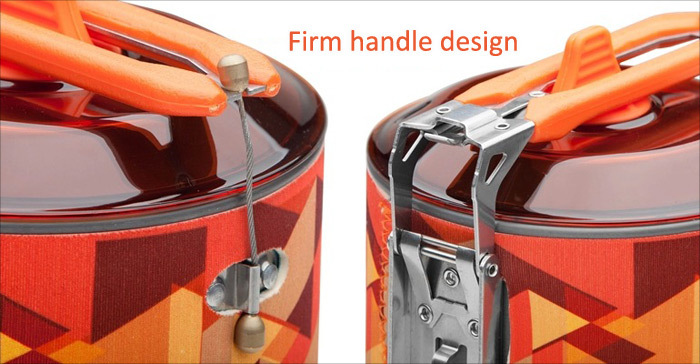 STURDY FOLDABLE HANDLE: Heavy-duty foldable handle. 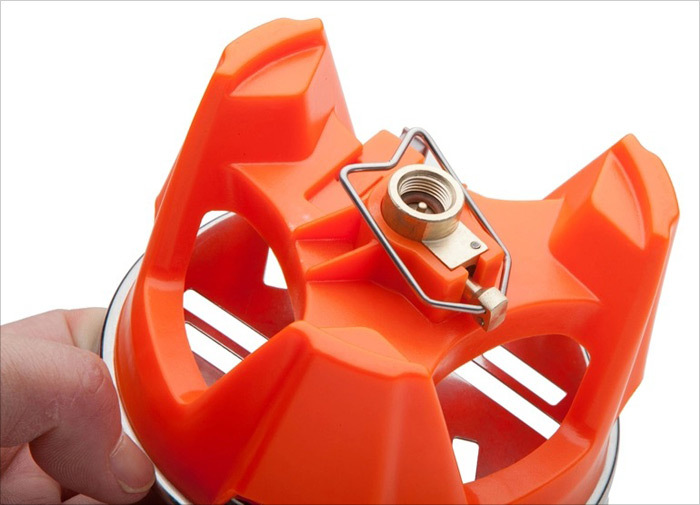 After folding and hitching with the nail attached on the pot, the handle can lock the pot tightly. 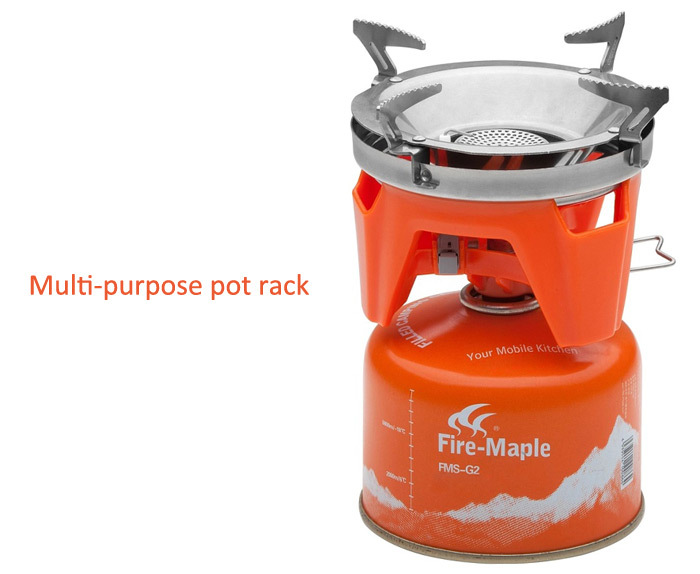 EXTRA POT HOLDER: With an independent and foldable multi-use pot holder which is suitable for various pots. 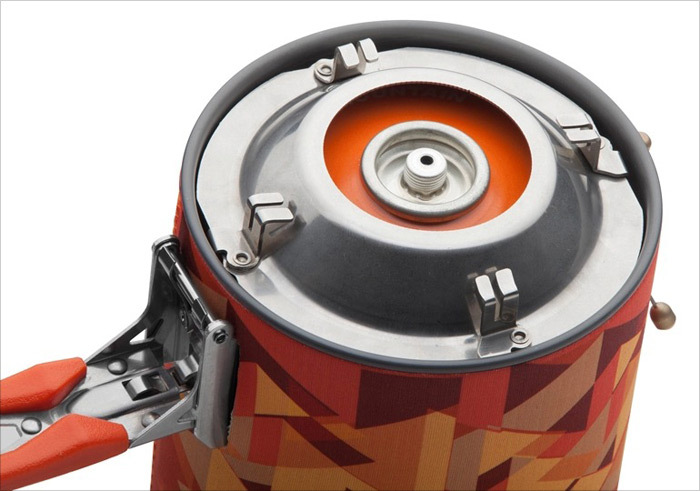 WATERPROOF CLOTH COVER: The pot is covered by waterproof cloth, which makes the pot more good-looking. It’s also a kind of protection against high-temperature pot during cooking.